Yorkshire Wildlife Park has announced the import of a polar bear, Victor, from Rhenen Zoo in the Netherlands. According to their website, Victor is a 15-year-old bear who has been “retired” from the European Endangered Species Breeding Programme (EEP). The arrival of Victor represents the first time that a polar bear has been kept in a zoo in England since the death of Mandy at Flamingo Land in 2004. (However, we believe that there is a female polar bear at a private facility in Oxfordshire). There are considerable threats facing wild polar bears and their habitat, but Born Free firmly believes that breeding more bears in zoos has no genuine role to play in polar bear conservation. Furthermore, experience of polar bears in zoos the world over has shown us time and again that polar bears simply do not fare well in captivity – partly as a consequence of the restricted environment. It must be taken into account that the average polar bear enclosure in captivity is 1 million times smaller than the natural range of a polar bear in the wild. Unfortunately, despite our best efforts, the UK has not become “polar bear-free”. After many years of campaigning, Born Free was instrumental in securing the transfer of Mercedes, the last polar bear at Edinburgh Zoo in Scotland, to their sister site at Highland Wildlife Park. Mercedes had been kept in a wholly unsuitable “traditional” bear enclosure at Edinburgh Zoo since 1984. Highland Wildlife Park brought in a young male from the Netherlands, just prior to Mercedes’ death in 2011. Another male polar bear was then imported in 2012 from a zoo in Germany. According to news reports, Victor is expected to be joined by two other polar bears by the end of the year, although it is currently unclear where these bears will be arriving from. Yorkshire Wildlife Park has so far not ruled out breeding polar bears at their new facility. In October 2013, Yorkshire Wildlife Park launched a £150,000 appeal to rescue Yupi, a female polar bear currently housed at Morelia Zoo in Mexico in what most experts believe is a very inappropriate climate and enclosure. The offer to rehome Yupi is yet to be accepted and it is unclear whether there is any realistic chance of Yupi being relocated to Yorkshire. If Yorkshire Wildlife Park truly wants to help polar bears, it will focus on genuine rescues of polar bears from the most unsuitable zoos worldwide, rather than act as a facility for European zoos to offload bears surplus to requirements from the European breeding programme. Furthermore, Yorkshire Wildlife Park should ensure that they do not breed from any bears, to avoid adding to the numbers of bears in captivity with no prospect of release to the wild. Frolicking in his new home, England’s only polar bear is a picture of contentment. But moving the 75-stone animal from a Dutch zoo to this purpose-built enclosure was a tricky proposition – not least for Victor himself. With his breeding days behind him, the 15-year-old was picked to be the first occupant of an £850,000 facility at the Yorkshire Wildlife Park, near Doncaster, complete with an eight-metre-deep lake and swathes of grassland, designed to resemble the Arctic tundra in the summer. To reach it, however, he had to endure a 12-hour journey locked inside a cramped metal box. After being trained to walk into the cage, he was loaded on to a lorry and then ferried to Hull from the port of Zeebrugge, receiving fish and water through the bars along the way. His new keepers were relieved that upon his arrival on Thursday they were met by a ‘very confident’ and ‘laid back’ character – rather than a polar bear with a sore head. After spending the weekend in a holding area to give him time to adjust, Victor was finally let loose in his new home yesterday. He quickly settled in with a refreshing dip in the man-made lake, before a rest in one of the caves dug into a bank at the side of the water. His enclosure is one of the biggest in the world, and could hold up to ten more animals. Victor is expected to be joined by two others by the end of the year – but for now he has all ten acres to himself. 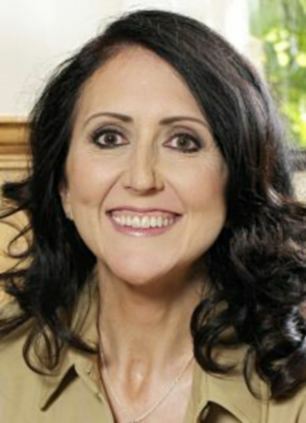 Cheryl Williams, the wildlife park’s director, said: ‘He is quite greedy and loves meat and fish, with his favourite being mackerel, but he is not very impressed by vegetables. I have been told he likes the occasional peanut butter sandwich but we haven’t tried that yet. ‘He weighs about 480kg (1058lbs) so he is pretty chunky, but that is his summer weight. When it comes up to winter he will become a real hungry Horace and eat lots more, when it gets colder he will probably be about 500kg (1102lbs). Victor, who retired from a breeding programme after fathering ten cubs, is the first polar bear to live in England for about a decade. He was born in captivity in Rostock, Germany, before moving to Rhenen in the Netherlands. His new keepers hope to use their enclosure to re-home bears living in unsuitable homes in Eastern Europe or tropical countries. The animal, who is such a prolific breeder that he had to be retired because he is father to most of Europe’s polar bears, now lives in a 10-acre enclosure which has the environment of an Arctic summer. Park director John Minion said: ‘We are delighted to welcome Victor to the park and be able to make a contribution to polar bear conservation. ‘Victor has made a great contribution to the European breeding programme and his genes are very well represented now so the decision was made to retire him to the park. ‘He’s actually the most prolific breeder across Europe, so most polar bears in Europe are probably his children. Polar bear Victor is set to become the first resident in the Doncaster-based wildlife park’s purpose-built polar bear centre. The 15-year-old polar bear is due to arrive at the park from his home at Rhenen Zoo in Holland next month, – and will be the only one in England. ‘But that doesn’t stop Victor from being an ambassador for the Arctic. Polar bears are an iconic species that are increasingly threatened in their native habitat and we need to fight their cause. The park expect Victor to live for anotjer 15 years at least, but he will not be lonely for long as more bears are expected to join him soon. ‘We will have more bears arriving in the autumn and will announce those as soon as details are finalised,’ Mr Minion added. And if Victor is anything to go by, the other polar bears will settle in fine at the large enclosure, dubbed Project Polar, which features landscaped hills, valleys, and lakes with water up to 8m deep. Within 10 minutes of arriving he was seen in his house, eating food and having a drink ‘like he had been here all his life’, Mr Minion said. He will be kept of out of the public gaze while he acclimatises to British temperatures, but will be able to explore his new home. Last year Yorkshire Wildlife Park offered a home to Yupi, a polar bear trapped in soaring temperatures and a concrete enclosure in a Mexican zoo. Yupi has been at Morelia Zoo since 1992, after being captured in the wild as a cub. Her current concrete enclosure has virtually no shade, and offers little stimulation, causing campaigners to encourage the zoo to move her to a more appropriate home. The Doncaster park made an offer to rehouse Yupi, but it is yet to be accepted. Ms Williams said: ‘We would still be delighted to re-home Yupi, who is over twenty years old. It would be wonderful if she could enjoy the rest of her life in the reserve here, so we wait for further news from Morelia.’ There are two other polar bears in Britain, who both live at Highland Wildlife Park in Scotland. One of them, called Walker, is one of Victor’s many sons. She was obviously loved, once. A chestnut mare with a sweet disposition who seems to have a radar to detect the Polo mints in my pocket. She’s wearing an expensive rug, only now it’s ripped and tangled around her legs. Her coat is worn white where the rug has slipped and rubbed. Her mane and tail are dreadlocks, entangled with twigs. The ground is sodden, due to the recent flooding, but as I stand with this mare I might as well be in Ethiopia, or some other Third World country where horses roam, abandoned, often starving, rather than where I am: an industrial wasteland in Avonmouth, near Bristol. I’m with an officer from World Horse Welfare whose job it is not just to monitor horses abandoned here in North Somerset, but in Wiltshire, Dorset, Gloucestershire and South Wales: no wonder he looks exhausted. I ask if I can take off the chestnut’s rug to free her and avoid terrible sores, but he tells me no. The red tape that enmeshes animal welfare officers is almost as confining as the straps around the mare’s legs. The officer tells me I cannot mention his name, either, for fear of alienating the travellers who control these wastelands and wage fierce turf wars. He tells me he gets a lot of ‘verbal abuse’. But this horse doesn’t look like a traveller’s horse: she’s too fine, not a stocky, coloured cob that is the traveller norm. Her owners have obviously spotted this grazing group, and simply added her to the pile. 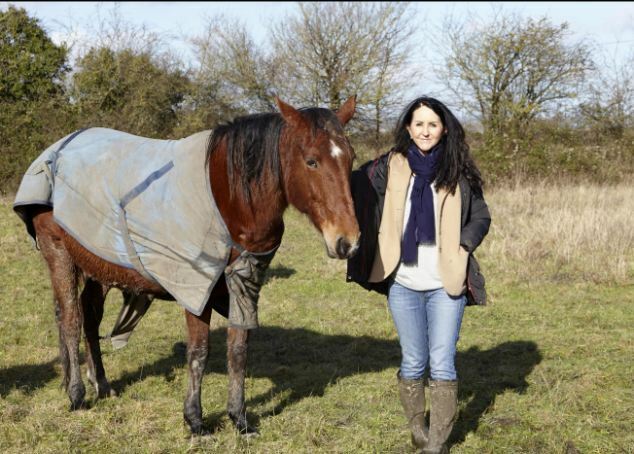 She is just one more addition to the estimated 7,000 horses currently at large, abandoned by owners who can no longer afford to keep them – and it seems that unwanted family pets have now joined these roaming herds of so-called ‘gipsy’ animals. Horses, for whatever reason – whether they buck off their young owners or cost too much in vet fees and feed – can often enter a downward spiral. Sold again and again, they are eventually picked up by dealers for as little as £5, and sent for slaughter. Many owners perhaps feel that leaving a horse to fend for itself is a better option. It’s a huge issue that has been overlooked for years. But now, in an economic and environmental crisis, where flooded land means there is less to go round for grazing, it’s one we can no longer ignore. I’m patron of Equine Market Watch, a small rescue centre in Herefordshire. We took in two colts abused by a local trader, Mark Hall, from Bringsty, who in September was jailed for ‘immense cruelty’ to 18 horses. Elaine Tasker, the amazing woman who runs the charity, said: ‘Calls come in every day from people who simply cannot cope any more: they have lost their job, or got divorced. 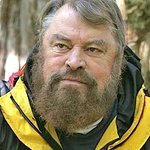 Elaine says too many people just don’t notice the animals in sodden, barren fields or wandering, desperately in search of food, on wasteland. ‘They drive past places where hungry animals stand in mud and they just don’t care,’ she laments. ‘The time is approaching when a nationwide cull will be the only way to get the equine population under control. 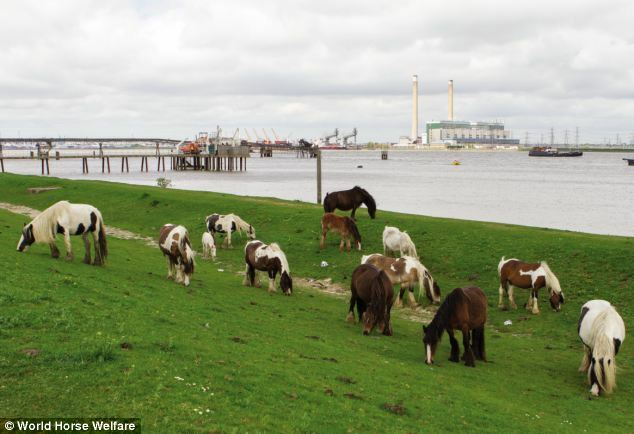 It seems shameful and shocking that in a horse-loving nation, there is a herd of perhaps 40 horses fly-grazing here at Avonmouth, a few hundred yards from the roaring M49. elements, meaning lovely heads are bowed against the biting wind, their backs covered in the skin disease rain scald. All the horses are thin – the poor grass is woefully insufficient. These animals need hay and supplementary hard feed. Their feet are neglected and painful, forcing many to totter uncertainly. The sight is repeated right across the country, as The Mail on Sunday has highlighted in recent weeks, with increasing numbers of animals, including pregnant mares and foals, being abandoned everywhere from Norfolk and Kent to South Wales. The RSPCA in England took in 1,526 equines (horses, ponies, donkeys and mules) last year, a staggering 69 per cent increase over 2012. Redwings horse sanctuary, based in Norfolk, says that in 2009 it had 161 reports of abandoned horses, but in 2013 there were 806. In January, the sanctuary was alerted to an abandoned cob in the Romford area of Essex, a county that is something of a hotspot for abandoned equines. She was so thin the bones in her hips and spine were visible, and she was suffering from liver damage. She had to be destroyed. 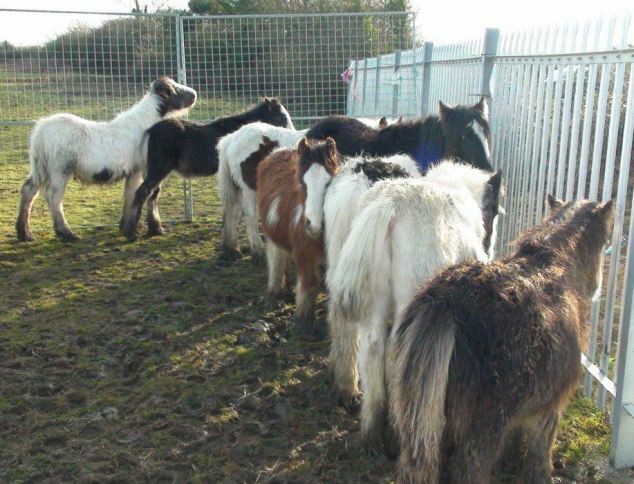 Already this year, 300 horses have been rescued from a site in South Wales, while 46 have been moved from a site in Hampshire. 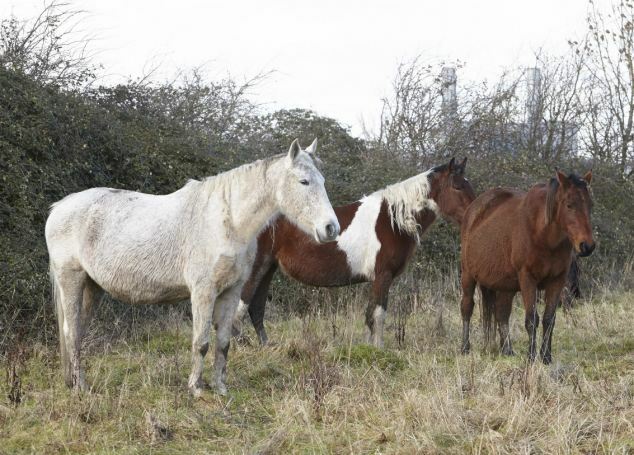 The Remus Memorial horse sanctuary in Essex has been inundated since Christmas with abandoned horses. Molly, a cob with a bouffant hairdo and sweet expression, was recently found pregnant, blind and starving, staggering on a verge next to a busy road, while several horses were found grazing beside the M25. No one seems clear what should be done. The 2006 Animal Welfare Act is woefully vague. Only if a horse is pronounced to be in a perilous state by a vet can it be seized, and then only with the assistance of the police. Even if an animal is microchipped, trying to trace the owner is often futile. So these horses roam, some destined to be hit by cars, others to shiver, depressed and starving. My rastafarian mare seems to be wondering what on earth she did wrong to deserve such a fate. It was normal to see horses grazing common land and wasteland before the Enclosures Acts, which became law between 1750 and 1850. These Acts denied free grazing, or what is now known as fly-grazing. Like fly-tipping, it means a horse, like a bag of rubbish, has been dumped on land without permission. The travelling community, whose history has never been to settle, use horses and ponies as currency and, having no common land for grazing, dump equines on any available patch. This is obviously dangerous if the horses are left near roads – for animals and humans. But it’s very difficult to get the horses off these sites, even through the courts. While my WHW officer says the travellers treat valuable horses well, it’s a different story for those used to hunt with dogs or raced on hard, unrelenting dual carriageways. I have received many accounts, from Harlow to Hull, of travellers’ horses tethered on bleak roundabouts. I’ve was told of one incident where a foal was strangled by her mother’s rope. Animal rights group Animal Aid believes one answer to the problem is for local councils to set aside land for grazing. This could save council money and police time, and improve welfare. All the animal charities I spoke to want ‘life plans’ for horses: the licensing of stallions, grading of all breeding mares, and even credit checks for prospective owners. The British Equestrian Federation’s annual National Equine Forum is due to take place in London on Thursday. Nick de Brauwere, welfare director at Redwings and chairman of the National Equine Welfare Council, will press Environment Secretary Owen Paterson for action. Whatever the outcome, the problem is now so acute that we cannot ignore it any longer. It’s a national scandal. Horses built this country: they ploughed our fields, helped build an empire and fought for us in two world wars. Let’s not abandon them. We owe them a debt of gratitude. Don’t look the other way. Footage sent to BBC South East has shown the rescue of an abandoned and neglected horse that was so weak it was unable to stand up. It comes three weeks after a horse died in the same field near Hailsham, East Sussex. Alison Van Beirendon, a resident who lives nearby, said she went into the field to lift the animal’s face out of the water and mud. Vet Imogen Burrows said the horse was suffering from exposure, skin disease, and possibly other conditions that were making it thin.